Putin.BLOG Astrakhan Regions Putin met with Astrakhan Region Governor Alexander Zhilkin. 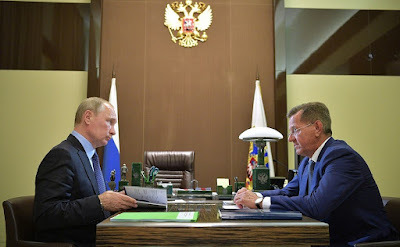 Russian President instructed the Governor to step up the work to connect buildings in the region to the gas supply network and to settle the issue with the allocation of land plots to families with many children. Vladimir Putin also highlighted the importance of finding solutions to transportation and waste removal issues. The Governor also informed Russian President about plans for the development of medical tourism in the region. According to Mr. Zhilkin, last year, the city’s medical institutions provided services to 85,000 patients from across the country and 25,000 foreign tourists from the Caspian states. The head of the region also reported on the positive dynamics of Astrakhan Region’s economy, in particular GRP [gross regional product] and industrial production levels. This year, according to Mr. Zhilkin, industrial production in the region increased by 29 percent, namely, salt and gypsum production, building materials, and rubber products industries. The machine-tool plant has shown good growth, operating as a joint venture with Chinese partners. According to the Governor, five residents of the region’s free industrial and economic zone are building manufacturing facilities for innovative products such as third-generation syringes and drop pipes for melioration across Russia. Alexander Zhilkin also said that the region’s tax revenue is growing, expected to exceed 100 billion rubles this year. 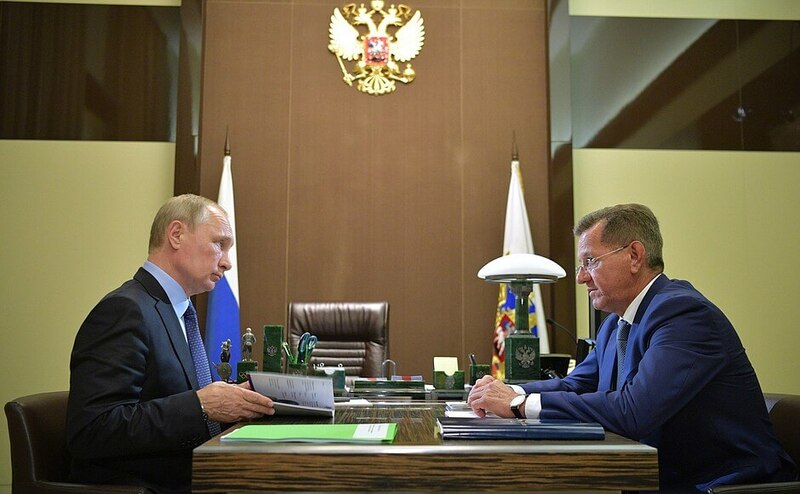 0 Comment to "Putin met with Astrakhan Region Governor Alexander Zhilkin."